The Division of Student Affairs is responsible for overseeing many of the critical services that support students in achieving their personal, educational and professional goals. Members of our staff are committed to providing inclusive, innovative and collaborative services and programs that empower students to succeed. 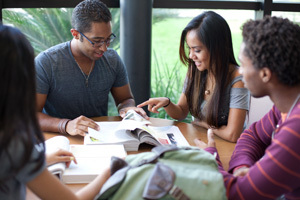 The Division of Student Affairs provides the infrastructure for essential out-of-classroom education that supports the academic mission of the College by empowering, inspiring and educating students and the community. Complete our Tell Us Like It Is Survey. By responding, you are automatically eligible to win a $50 gift card to the Seminole State Bookstore!